Socx is a village and commune 12 kilometres south of Dunkirk, on the N.28 road from Bergues to St. Omer near the junction of this road with the N.16 main Dunkirk-Hazebrouck road. In this churchyard, near its eastern boundary, are the graves of two soldiers and one airman from the United Kingdom and 1 New Zealand airman. 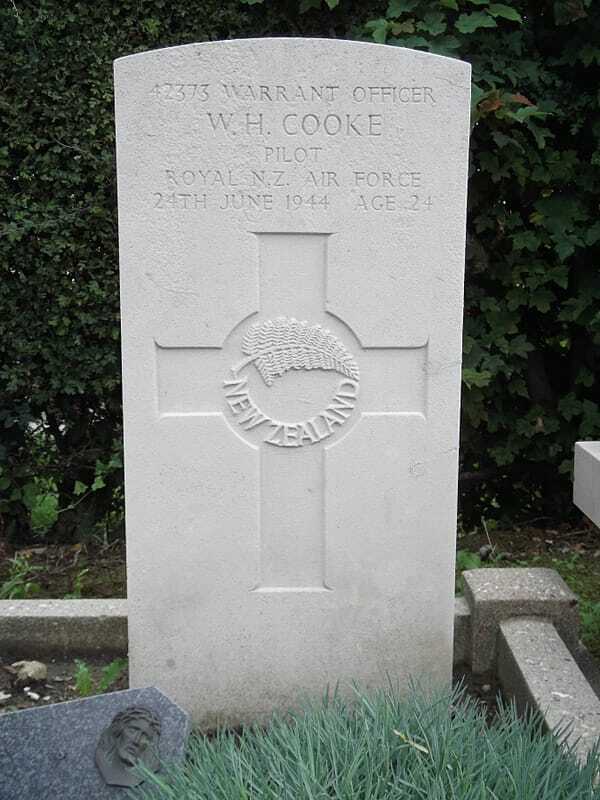 42373 Warrant Officer Wilfred Harold Cooke, Pilot in 622 (R.A.F.) 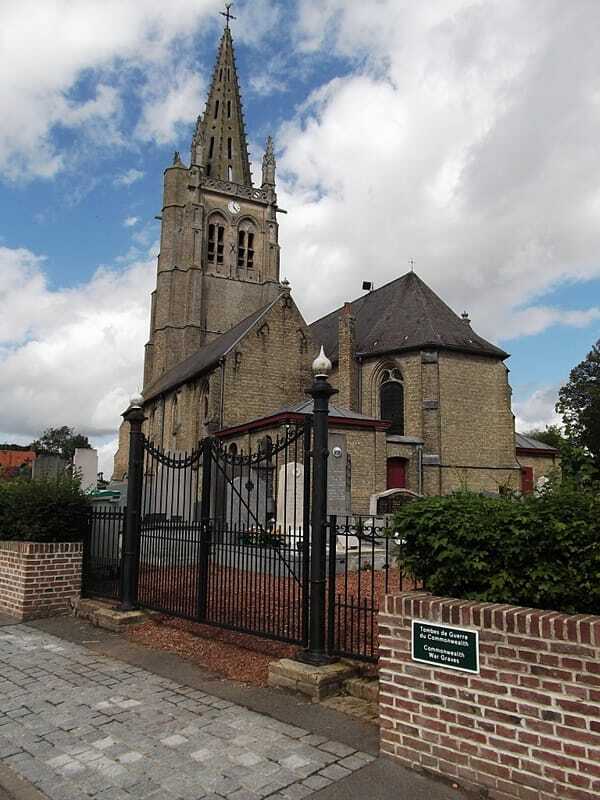 Squadron, Royal New Zealand Air Force, died 24th June 1944, aged 24. Son of Harold and Mary Edith Cooke, of Te Awamutu, Auckland, New Zealand. 1006958 Sergeant Frederick Oliver, Air Gunner in 622 Squadron, died 24th June 1944, aged 22. 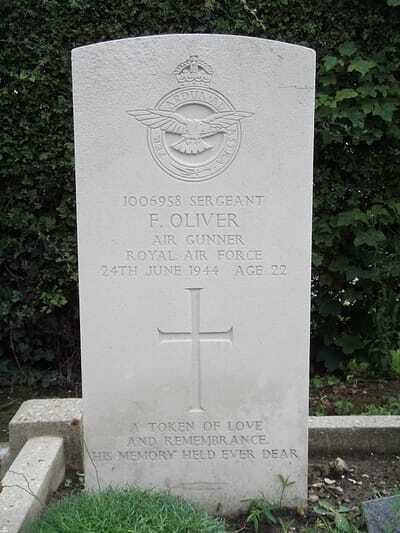 Son of John and Agnes Oliver, of Wigan, Lancashire; husband of Kathleen Oliver, of Beech Hill Wigan. 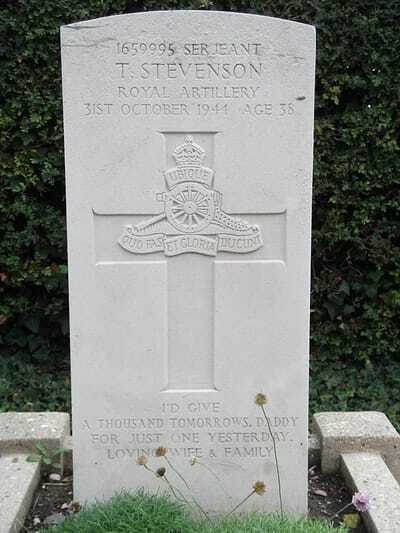 1659995 Serjeant Thomas Stevenson, 125 Lt. A.A. Regt, Royal Artillery, 31st October 1944, aged 38. Husband of Mary Stevenson, of Maryhill, Glasgow. 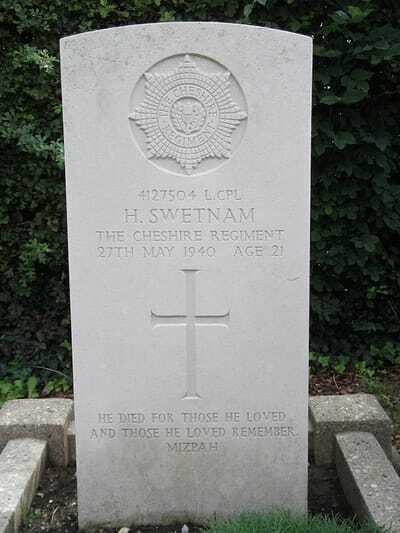 4127504 Lance Corporal Harold Swetnam, 4th Bn. 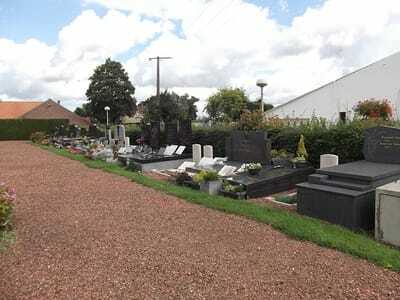 Cheshire Regiment, 27th May 1940, aged 21. Son of Herbert and Martha Swetnam, of Liverpool.